In this article, I plan to give you some facts and figures about Turkey however within my blog, you can read more indepth about the country and my experiences now that Turkey is my permanent home. The population is 72,000 million as quoted on 2010. Geography : Turkey covers 72,454 sq kilometres and comprises of 81 provinces that are further divided into separate districts. Turkey has a very colourful history and evidence has been found of the earliest forms of civilizations living in the lands that now are classed as part of this country. Empires that ruled for centuries include, but are not exclusive to the Lycians, Romans, Greeks and Selcuk Dynasty. 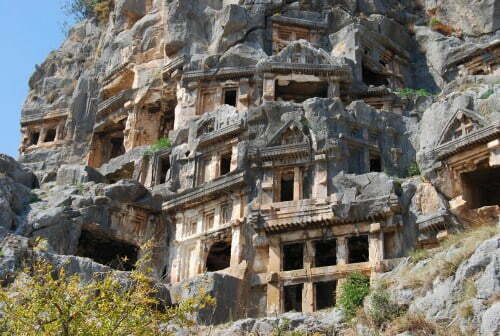 All over Turkey but specifically on the South West coast are historical sites relating back to these periods. One of the most prominent empires to rule was the Ottomans. If you go to Istanbul, visit the former home to rulers of the Ottoman empire, Topkapi Palace. They ruled for approximately 900 years however by the year 1918, the Ottoman sultans sided with the losing countries of the First World War and the Anatolia region was due to be separated for ruling by the winning countries. This prompted the war of independence led by Mustafa Kemal Ataturk. The war was won in 1923 so independence was declared and the Republic of Turkey was formed. One of Mustafa’s first decisions was to move the capital, formerly Istanbul to Ankara in the center of the country. Many people who have not visited Turkey before assume it to be a third world country however there are major cities such as Istanbul, Izmir and Ankara that are a thriving hub for local and international businesses as well as tourism. Turkey is also quite unique in that Turkish culture is a mix of Ottoman, Greek and western influences. The West and South coast of Turkey as well as the Istanbul peninsula are mostly known for western influences while the East is classed as traditional Turkey which has influences from the Kurdish culture. The North of Turkey is called the Black Sea region and the towns along this area are known for their natural beauty and green hills thanks to the months of rainfall. Turkish culture is welcoming to strangers and friendly. The emphasis is on family and friends and you will find it easy to strike up a conversation or make friends with Turkish people, no matter which destination you decide to visit. Ibrahim Tatlises is an award winning singer who has survived three assassination attempts. Malaria is no longer present in the country however people still opt for travel vaccinations against hepatitis A as it is a worldwide disease. Hepatitis A is spread through poor sanitation, bad hygiene and unclean water. The result is bad sickness that can leave a person feeling very lethargic. While hepatitis A can normally be cured within a couple of months, people prefer prevention rather than cure. It is especially advised to have travel vaccinations if you are headed to the East of Turkey. There are a number of holiday destinations within Turkey that play host to over 25 million visitors a year. For a city break, you should consider visiting Istanbul or Ankara. 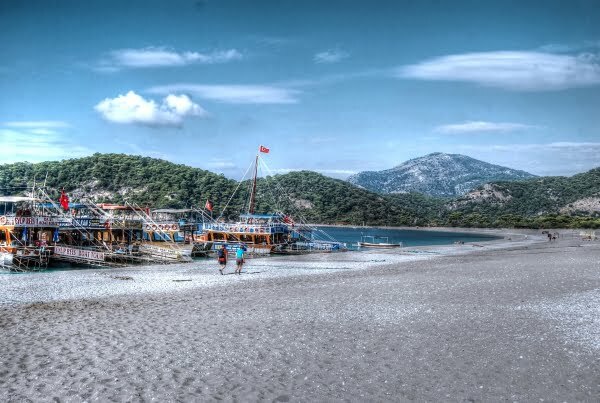 The South-west and West coast of Turkey also has many holiday resorts such as Bodrum, Fethiye, Antalya and Marmaris. The Black sea region is not mainly visited by foreigners however Turks head there for their summer vacations. Visit the destinations category on my blog to discover more about ideal holiday destinations within Turkey.